Salary – rs 12500 for one year. Eligibility criteria: education Qualification: 3 year professional / 5 year Integrated degree in law from any law college or recognized university. Only such law graduates who have not started practices as an advocate are engages in any other profession or vocation / service are eligible for this posts. Final year appearing candidates of 2016-17 examination and awaiting results may also apply. Minimum marks should be 55% in graduation degree. Knowledge of computer ie Data Entry, word processing and computer operations will be preferred. Age limit - minimum 21 years and must not have attained the age of more than 26 year as on 1 July 2017. Selection Procedure: selection of the eligible candidates will be based on through the personal interview test which will be held by Judges of HC. For making selection, competence would be judged on the basis of the interview only, which will be held only at Allahabad. The candidates for interview will be called only after screening. Nature of work: The successful candidates will be attached with Hon'ble Judges and shall discharge duties under directions of Their Lordships. Basically the Law Clerk (Trainee) will be required to carry out search and research on legal points and principles as desired by the Hon'ble Judge with whom he/she remains attached. He/she shall assist the Hon'ble Judge in searching out case law, articles, papers and other relevant material . required by the Hon'ble Judges in discharge of judicial as well as administrative work. Besides attending the Chambers of Hon'ble Judges, the Law Clerk (Trainee) may also be asked to be present in Court during hearing of the arguments, take down or prepare notes in Court. The research work assigned to Law Clerk may include performing legal research, drafting memorandums and opinion, comments on statutes, relevant to questions of law. Assistance from the Law Clerk may also be taken in proper maintenance of the case files. Assistance in administrative functioning of the Judge shall also be desirable which shall include Maintaining of administrative files, preparation of research of academic papers, Maintaining record of judgments, the points of law decided in various judgments by a Judge, maintenance of records of administrative correspondence etc. Apart from the above mentioned duties and responsibilities enumerated Above, the Law Clerk (Trainee) shall perform any other duty as assigned by the Judge concerned with regard to his judicial and administrative functions. The Nomenclature ''Law Clerk (Trainee)'' makes it abundantly clear that they shall be Imparted training with regard to procedure and substantive law to assist the Hon'ble Judges in discharging their judicial and administrative functions. The Law Clerk (Trainee) will also be provided the schedule of training and the details of the nature of job, which they have to perform during their year of engagement. Specific Assignments shall be given by the Judge with whom they are attached. 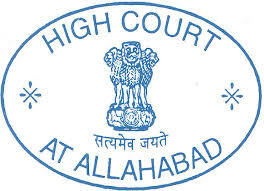 Application form fee – rs 300 to paid through bank draft drawn in favour of registrar general HC judicature at Allahabad.